i would be interested in buying the online course PMP , may i know when is planned the new one? I would attend via video online becouse i'm in Italy. Is it planned anyone in the week 21 - 29 January? If yes, where I can find the timetables? 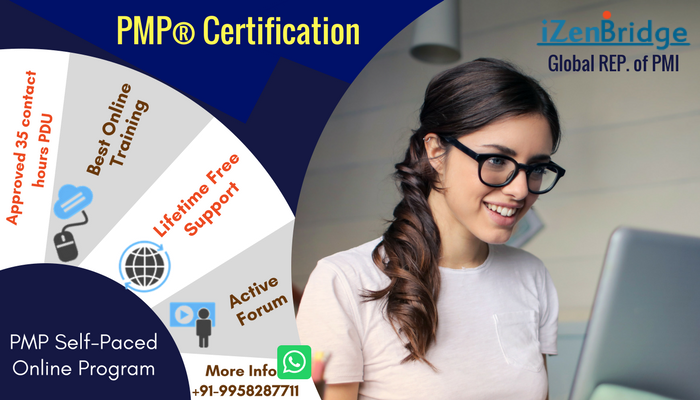 We have a very effective online PMP® course which is quite comprehensive program designed to get your certificate for sure. It includes around 1400+ assessment questions and 60+ hours of classroom style videos(which covers complete PMBOK fifth edition) and also come with 35 Contact Hour/PDUs certificate, which is required to appear for PMP® Certification. These are pre-recorded sessions which you can access anytime at your own convenience. We also share a customized study plan with PMP Aspirants. * We have EXCLUSIVE PMP Area in this forum, where queries are answered by PMP experts. * PMP live clarification session through Webex every alternate Saturday. Our online PMP course is designed in such away that it give a feel of classroom only. The trainer had explained the concepts using real world example using white board in all the videos (By Saket Bansal) like these (http://www.izenbridge.com/pmp/online-co ... on=lessons).